A lot of people think that planning for pension plans should only be thought about a decade or two from retirement. It’s easy to find excuse from being young to be able to enjoy life at best. And when the dire need comes, we’re left with reasonably greater salary deductions and hoped that we should’ve planned about it any earlier. Planning pension or retirement plans should be done as early as 20s. This is to make sure that you have saved enough that would suffice your needs for the rest of your life the moment you retire. And this is contingent on the fact that as long as we’re able to do work to prepare for it, we might as well just maximize our means to seal our future more. The most important part of planning the pension plan is finding the right plan that could give you what you would need. Finding plan offers is easy, finding the right one isn’t. But let’s stick with your most accessible options. Oftentimes, companies make sure that their most loved workers get to receive the incentive after years of working. Not to mention that the goodness of a retirement plan could also be a factor why certain employees choose to remain in the company. Planning to apply for one is an important decision that every mature individual should take. Some of these lucrative companies even provide up to $12,000 – $20,000 a year, about 3 to 5 times of an average company. Sometimes even, these corporate pension policies include more than just one plan, i.e. a defined-benefit plan atop from company contributions like 401k. Right now, fewer than half of the total number of workers in the private sector is covered with a retirement plan in their corresponding workplaces. Yet, workers opt for these company plans because taxes are lower and automatic deductions are a lot easier to bear than mandatory contributions. Thus, the pension plans being provided in work still remain to be the most practical and sound pension plans for everyone. The second option could be putting money into an Individual Retirement Account. IRAs provide advantages with respect to tax. 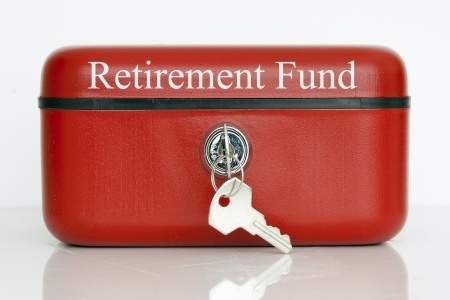 Opening for such account will give you two options – the traditional IRA and the Roth IRA. Your option will have a bearing on how the tax deals with your transactions. It can give you an easy avenue to save because it can be automatically set-up through savings account deductions. Lastly, check on your benefits in the Social Security System. They can give about 40% of the total earnings that you had when you were still working. In finding the pension plan, there are different points of consideration. Needless to say, age and its corresponding retirement horizon is an essential part of it. If for example at the age of 37, you have decided to invest into a retirement plan and your planned retirement age is 55, you need to consider the plan that will allow you to save enough for the next 18 years by the time of your retirement. Usually, these plans have a catch-up feature that will enable you to save larger funds than usual. Learn the basics of these investment principles. It’s very important that you understand how the system works. And if you hit it right, you can have your hard-earned money for years work you in your retirement.